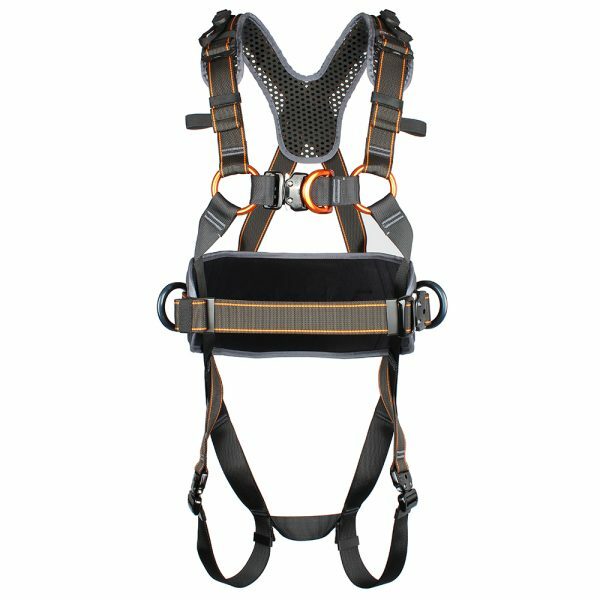 Premium multi-adjustable fall arrest and work positioning harness for tower climbing and rigging. heightec’s brand new NEON full body harness is designed to a high specification, giving riggers maximum comfort and security. The chest rings and articulated hip section with floating waist belt aligns the webbing to give the optimum fit and superb freedom of movement. Ergonomic belt with large lumbar pad for high level comfort and support during positioning. Side D-rings stay in place for ease of attachment. Safelock™ quick connect leg and waist buckles make fitting fast and easy. As the buckles do not need to be slackened to remove the harness readjustment is not required every time it is worn. Shoulder buckles allow quick and easy adjustment with one hand. The NEON rigger’s harness, quick connect also features integrated parking points allow lanyards to be stowed when not in use yet break free in a fall preventing issues from incorrect loading. Positioned on the should pads to avoid the trip hazard associated with longer lanyards. Also available with standard leg buckles.